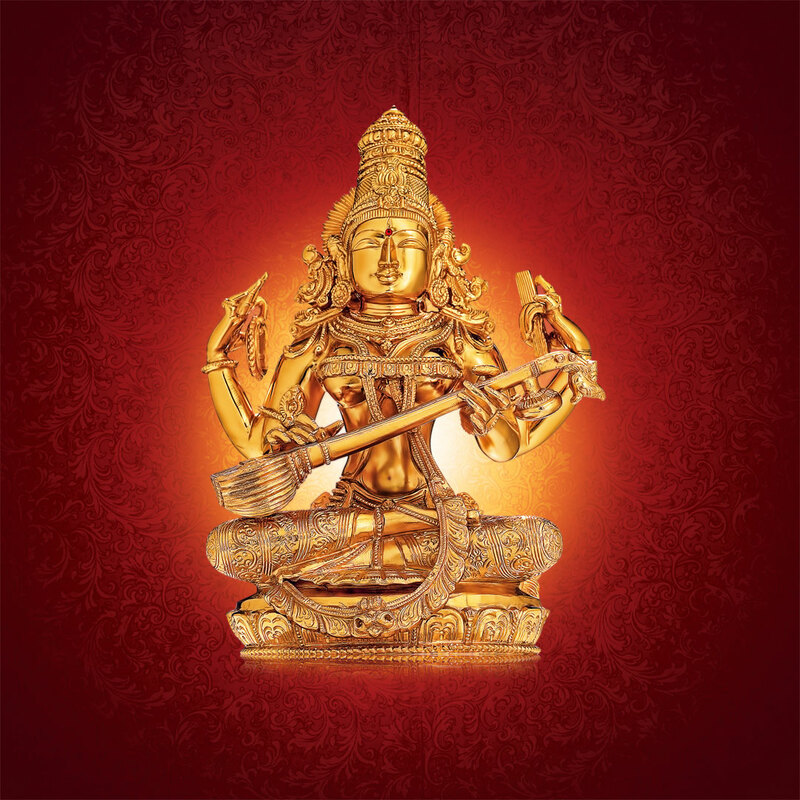 On the occassion of World Music Day and we shall know of how Music and our Indian Gods go hand in hand..
Great Bhishma PitaMahah..whose Selfless dedication to his father reminds us of our duties to our parents.. In the time of the Mahabharat, a very special child named Devavrat was born to Shantanu, the king of the entire land of Bharat. Devavrat, better known as Bhishma, is forever remembered from the Hindu epics as the ideal son who gave up his happiness for the sake of his father. Shantanu was in love with Satyavati, the local head fisherman’s daughter. Her beauty and grace mesmerized Shantanu; he yearned to marry her and make her another one of his queens. Unfortunately for the king, this would not be an easy task. Satyavati’s recent palm-reading predicted that her sons would be rulers of Bharat. Her father worried that if Satyavati married Shantanu, their children would not get a chance to rule the great kingdom since his son, Devavrat, was first in line for the crown. Looking out for his daughter’s well-being, the fisherman placed a proposition before Shantanu: Devavrat would have to forfeit the throne, or else Shantanu could not have Satyavati’s hand in marriage. Shantanu was very hurt by this proposition because he knew that it was Devavrat’s right to be the next king. Knowing he would be doing injustice to his son he tried to forget about Satyavati. However, being away from Satyavati caused Shantanu to become depressed. Devavrat, through his father’s charioteer, came to know of the reason behind his father’s depression and decided that as a son, he should help his father regain his happiness. Devavrat arranged a meeting with the fisherman. Devavrat promised Satyavati’s father that he would let her children rule the kingdom if he consented Shantanu to marry her. However, this generous offer was not enough for the fisherman. He was worried that there was still a possibility that Devavrat’s future children may challenge the right of Satyavati’s future children. To quell the fisherman’s fears, Devavrat vowed to practice eternal celibacy. 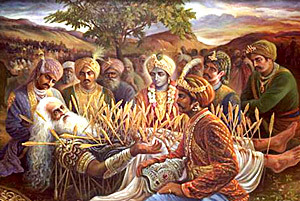 Devavrat’s will to help his father astonished the gods in the heavens, who immediately showered flowers upon him, crying “Bhishma, Bhishma, Bhishma!” Bhishma means “one with a terrible oath” and so from then on, Devavrat was referred to as Bhishma. Hearing about his son’s immense sacrifice, Shantanu granted him the boon of iccha mrutyu, which gave him the ability to choose his time of death. Lord Agni is one of the supreme Gods in Rig Veda. Agni is associated with Vedic sacrifice and takes offerings to the other world in the fire. He is the chief of religious ceremonies and duties and acts as a messenger between human and gods. Agnicayana and Agnihotra are the Vedic rituals concerned with Lord Agni. Agni stands second to Lord Indra. Lord Agni is two faced and they suggest his destructive and beneficial qualities. 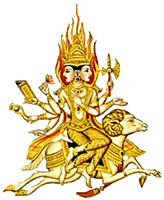 Agni is one of the guardians who represent southeast direction. The light Lord Agni emits is the light of knowledge so he is also called the illuminator of knowledge who lights up the path that leads to truth. According to Rig Veda Agni have two parents. As the divine personification of the fire of sacrifice, Agni is the mouth of the gods, the carrier of the oblation and the messenger between the human and the divine orders. Agni has been worshipped by the Hindus since the Vedic period. Agni is one of the three supreme deities of the Rig Veda, i.e. Agni, Vayu and Surya. These three Gods preside over earth, air and sky respectively. In Rig Veda, largest numbers of hymns are addressed to Agni. Agni is known to be the son of Angiras and the grandson of Sandila. His wife is Swaha and has three sons – Pavak, Pavman and Suchi. He is known by various names like Jivalana, Dhananjaya and Vahni and so on. Agni is described in the scriptures as red-hued. In Hari Vans, Agni is clothed in black and has smoke as his standard. He has four hands and rides in a chariot drawn by red horses. It is said that Agni Purana has been recited by Agni himself to sage Vashist. Agni is the innermost light that shines brightly in all animate and inanimate objects. He is the divine personification of the fire of sacrifice. As per custom Agni has ten forms. They are: lightning, fire, sun, absorbing fire, destructive fire, fire yielded through sticks used for sacrifices and rituals, fire given to a student during his Upanayana ceremony, domestic fire used for household uses, southern fire of ancestors used for some types of rituals and funeral fire in cremation rituals. Lord Surya is the source of life, light and all energy in the cosmos. He is the most powerful and majestic visible Devata. 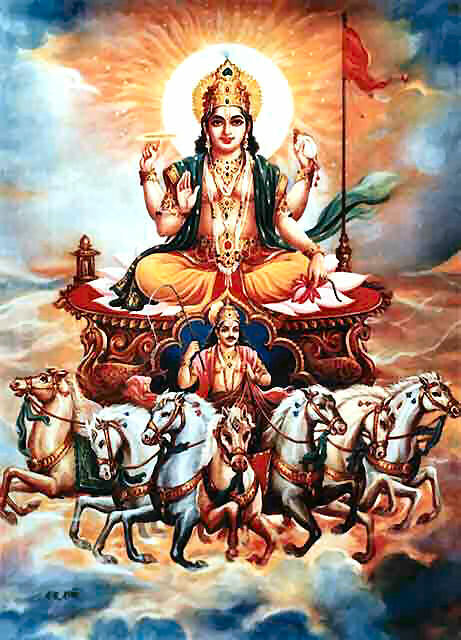 Surya Dev has also played role of Master-Guru for many Devatas, number of Seers and Devotees. The three worlds have the sun as their source of origin. 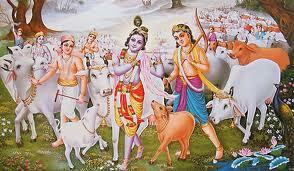 The entire universe including Devas, Asuras and human beings originates from him. 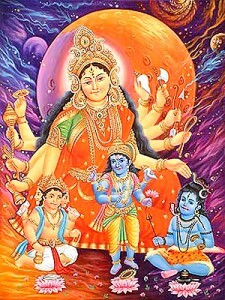 The brilliance of the deities namely Rudra, Upendra and Mahendra, the splendour of the leading Brahmins and heaven-dwellers of great refulgence, and of all the worlds is lord Sun-the soul of all, the lord of all-Devas as well as human beings. The sun alone is the root cause of three worlds. It has been mentioned in the Brahma Purana that everything is born of Lord Surya; everything is dissolved in him. He is the cause of origin and destruction of the universe. Lord Surya is tawny in spring; during summer he resembles gold, he is white during rainy season; he is pale, grey during autumn; he is copper-coloured in early winter; he is red during late winter. Thus the colours of sun-god caused by the seasons have been recounted. The Sun-god is the dispeller of darkness. He is the deity of great brilliance and is considered the Supreme Soul. 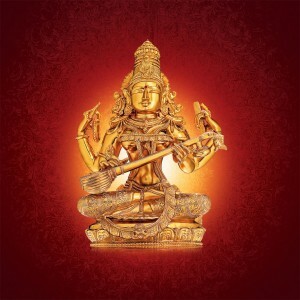 Lord Surya is also the cause who brings about the change of seasons in the universe and it is also the sun-god which acts as the pivot of the entire universe. Some of the names of the sun-god are Aditya, Savita, Surya, Mihira, Arka, Prabhakara, Martanda, Bhaskara, Bhanu, Chitrabhanu, Divakara and Ravi. Lord Surya is worshipped in various forms throughout India. The Arka form is worshipped in North India and Easten part of India. The Konark temple of Orissa is dedicated to Lord Surya. In Uttar Pradesh the sun temple named Balarka Surya Mandir is also well known. He is also known as Mitra for his nourishing properties. This form is mostly worshipped in Gujrat. The first in this series is Goddess Prithvi or Mother Earth. Goddess Prithvi is the Hindu Goddess of Earth. In Rig Veda Goddess Prithvi is never addressed alone. She is always to Dyaus who is the male deity associated with the sky. She is part of the compound dyavaprithvi. Both these deities are interdependent. They are considered as the parents who have created the world. Thus Dyaus is often called the father and Prithvi is known as mother. There are several legends associated with Goddess Prithvi. Once they were parted by Lord Varuna. However they united Heaven fertilizes earth with rain. Other than her maternal and productive characteristics she is also known for her supportive nature. She accommodates everything and is stationary. Goddess Prithvi along with Heaven is prayed for wealth, power. The waters produced by the duo are considered as pure, nourishing and fertile. People also worship them together for protection from danger, to compensate sin thereby bringing in happiness. Generally in a funeral the dead person is asked to go to the lap of mother earth. She is often requested to cover the dead tenderly.